With slot machine popularity at an all-time high, slots can be found in almost every theme imaginable. Movie slot games are a favourite amongst many gamblers. Allowing you to enjoy luck-based fun whilst reliving your favourite film, their popularity comes as no surprise! In this article, we explore the top ten movie-themed slot games. Made by the popular software company, Playtech, the Rocky slot machine is based on the famous Syl-vester Stallone movie. The video slot features five reels, 25 pay lines, and a range of special features. If you manage to spell ‘Rocky’ across the reels, you will instantly receive 5x your maximum bet. Spinning the boxing gloves on the first reel will take you to a bonus game for the chance to pocket even more cash. Finally, If you match 3 or more scatter symbols you’ll receive a collection of free spins. 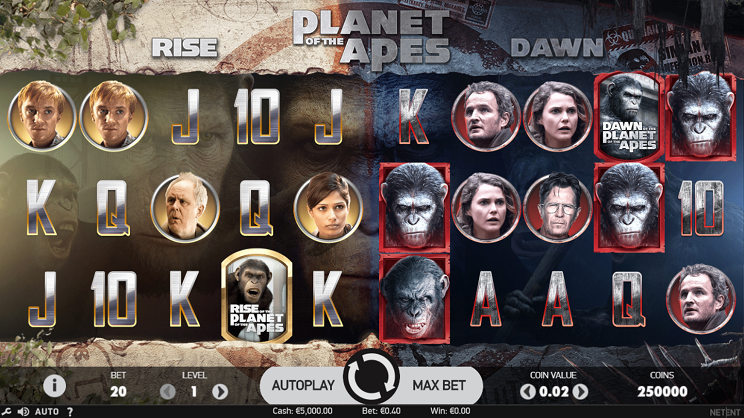 Taking its inspiration from the original movies, the Planet of the Apes slot game is made by NetEnt. Fea-turing the first two movies, the slot is packed full of bonus games, free spins, and other cool features. Better still, there are two different types of free spin; one can be bagged in the first half of the game, while the other can be found in the second. If you’re into supernatural horror, you won’t be disappointed by the Paranormal Activity slot game. Based on the movie, the slot features almost 250 different ways to win. Additionally, the game includes a range of free spins that are based on Paranormal Activity characters. Those, with the addition of instant wins, extra wilds, and generous multipliers, are what make the slot game so popular. Years ago, the Jurassic Park slot game held a spot in the top ten. Now, the classic slot has been replaced by the newer ‘Jurassic World’ version. Featuring 25 pay lines, free spins, and a multiplier feature, there’s no question as to why the game is loved! Additionally, the slot is equipped with three bonus rounds based on different parts of the film. Creation Lab, Gyrosphere Valley, and Raptor Den, all offer the chance to win 10 free spins. Based on the classic sci-fi film, the Terminator 2 slot is made by Microgaming. Featuring 5 reels, 25 pay lines, and a collection of special symbols, the game can be enjoyed by gamblers of all sorts. If you’re a fan of the original movie, you’ll recognise the Terminator-themed symbols on the reels. Although the main character is the T-800 cyborg, other characters can be spotted throughout the game, too. Also made by Microgaming, the Phantom of The Opera Slot takes its inspiration from the classic musical. Featuring a host of free spins, multipliers, and a large number of pay lines, the game offers a strong chance of winning. Additionally, the slot is equipped with a Masquerade-themed bonus level in which you can win up to 10 free spins and unlimited wilds. NextGen’s Psycho slot game is based on the old-school horror film. Fans of the classic movie will instantly recognise the famous quotes, scenes, and characters that are present throughout. The slots most popu-lar feature has to be the Physco Wilds; when found, these little gems multiply by up to 20x! Inspired by the classic comedy, Microgaming’s Bridesmaids slot is popular amongst the girls! The slot boasts a variety of unique features such as cash prizes, stacked wilds, and free spins. If you’re lucky enough, you may even win a cash prize on the games ‘Wheel of Fortune’ bonus level! Each level of the game features different characters from the movie and reflects the comedic nature of the film perfectly. If you’re looking for something a little different, definitely give the Bridesmaids slot a go! Particularly popular amongst DC Comic fans, Justice League features characters including Batman, Super-man, Cyborg, and Wonder Woman. Made by the software company, Playtech, the slot boasts a number of exciting features including respins, bonus games, and wildcards. Better still, the game is equipped with a random progressive jackpot where players can pocket some serious cash! Based on the 1990s movie, Basic Instinct is another popular slot game. Made my iSoftBet, the slot fea-tures 5 reels and 25 pay lines. Additionally, the game offers a range of bonus features including bonus wilds, free spins, and even a progressive jackpot. If you’re a fan of the classic thriller, you will not be dis-appointed by this movie-themed slot! If you’re a movie fan, you’re sure to enjoy movie-themed slot games. With so many different slots availa-ble, it’s easy to find one that suits your preference. Whether you enjoy classic black-and-white movies, or you’re partial to a gruesome horror, the selection of slot games above has something for players of all sorts. If you’re hoping to win big, it’s best to do some research before hitting the casino. Choosing a game with a low house edge will increase the likelihood of you winning. As well as being available in-house, most of the slots above can be played online. This allows you to enjoy the movie-themed games from the comfort of your own home. 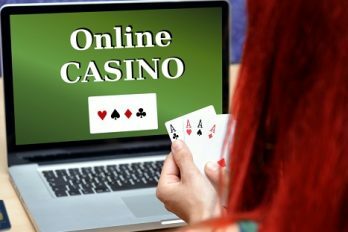 With so many online casinos out there, it can be difficult to decide which one to play at. Thankfully, we are here to help. 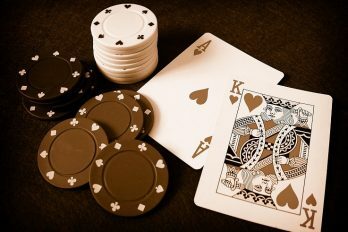 At Casinobet.com, we re-view a wide range of casinos and games so that we can give you an insight on the best ones to use. Better still, we always take into account the bonuses and promotions that are offered to help you get the most for your money. 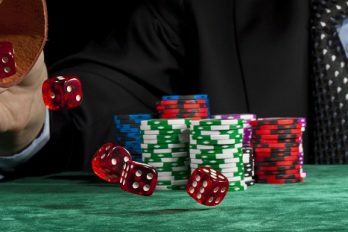 Due to the addictive nature of gambling, it’s important to consider your financial situation before using a casino. If you find yourself on a losing streak, it’s always best to head home and return an-other day to avoid getting yourself into debt.